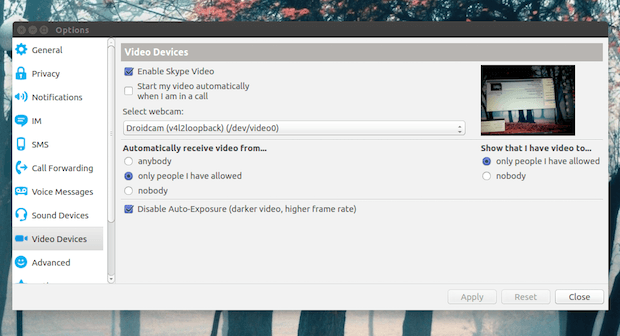 How about using your Android device as a PC webcam ? 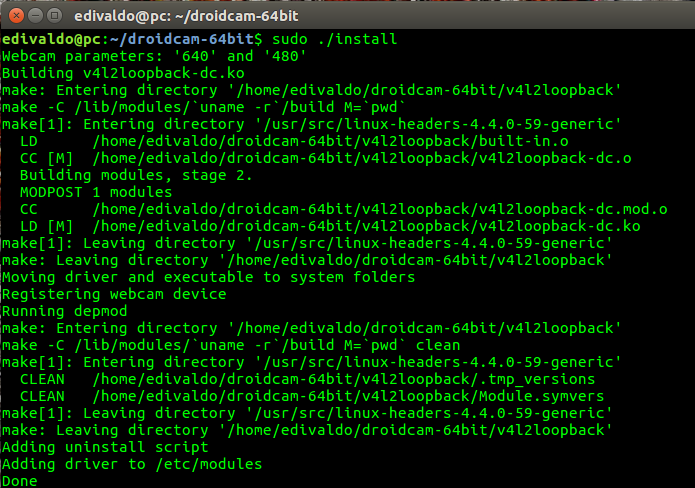 To do this, first see how to install DroidCam on Linux manually . DroidCam is a tool that allows you to use an Android device as a wireless webcam, which can be used from your desktop (Linux or Windows) to chat on Skype, Google+ and so on, using the “DroidCam Webcam” on your computer , with sound and image. It can connect via Wifi, Bluetooth or USB cable. Moreover, it is simple and efficient as it was designed to save battery and space as much as possible. Ready! Now, when you want to start the program, type droidcamin a terminal, followed by the TAB key. If you want, you can also use the system file manager to run the program, just by opening its folder and clicking its executable.